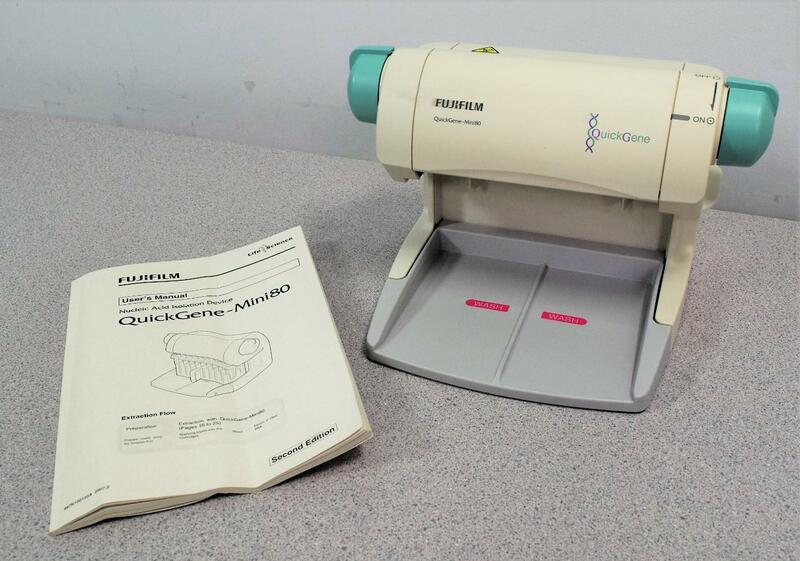 Fujifilm Quickgene-Mini 80 Compact Personal Nucleic Acid Isolation Device . New Life Scientific, Inc. The Gene-Mini 80 is a compact system requiring no centrifugation in the extraction process, giving less strain to samples and enabling rapid nucleic acid extraction. Buy will need to acquire any consumables, a power adapter, tube/cartridge holder and pipette. Driver software available from manufactures website.